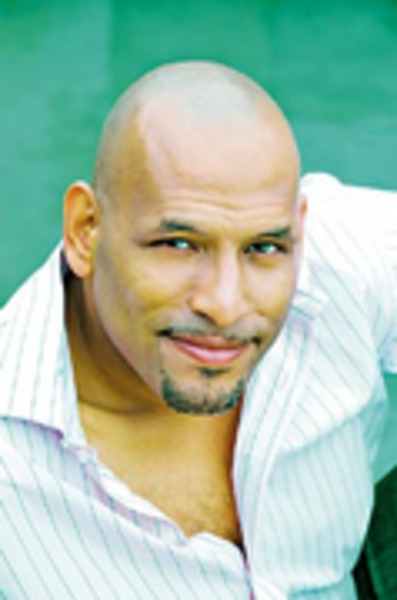 John Amaechi cannot be defined by one label alone. He is a multi-faceted speaker who has been booked around the world on such topics as diversity, sports, LGBT issues, politics and more. He is a former NBA player who famously turned down a 17 million dollar contract with the world champion Los Angeles Lakers in order to honor a prior commitment. Amaechi is also a New York Times best-selling author with his autobiography Man in the Middle. He is a community leader in his hometown of Manchester, England and through his ABC Foundation. John Amaechi is also more than all of these things. Born in Boston, Massachusetts to a British mother and Nigerian father, Amaechi and his two sisters were raised in England. Throughout his childhood, Amaechi always felt the "outcast." At age 17, when introduced to basketball, he not only found something he connected with, he began to come into his own as an individual and dream of his future. In less than 6 years, Amaechi became the first, and to date only, Brit to have a career in the NBA. His professional basketball career spanned multiple countries (Italy, France, Greece) and 4 NBA teams (Cleveland, Orlando, Utah and Houston). Amaechi's dreams were never solely about success in sport. Whether with the Boys and Girls Club while at Penn State or adopting two teenage boys during his professional basketball career, Amaechi's focus has always been on his community and our youth. During his NBA career, he earned a degree in psychology and founded the ABC Foundation in his hometown of Manchester, England. The Foundation and its Amaechi Basketball Centre simply subscribe to Amaechi's theory that "no child shall go uncoached: in life or in sport." Amaechi's devotion to community and youth is also a foundation for his work in the United Sates. In February 2007, Amaechi became the official spokesperson for the Human Rights Campaign's Coming Out Project, a program designed to help gay, lesbian, bisexual, and transgender people come out and live openly. Through lending his voice to dozens of community chapters across the nation, Amaechi spoke about the need for a safe and supportive environment for LEGT youth. He has also given voice to countless nameless faces of the LGBT community through his support of the work being done by GLAD, Life Works Mentoring, The Trevor Project, GLSEN and countless other important organizations. Additionally, in June 207, Amaechi accepted invitations from Chicago, Los Angeles and Salt Lake City to be their Gay Pride Grand Marshall. Amaechi also continues to be a widely booked speaker and commentator in both the US and UK. His work in the UK finds him as a regular sport and current affairs pundit for the ITV, SKY, and the BBC, for whom he will be a lead commentator during their basketball coverage at the Beijing Olympics. He is also currently the face of Sport England's latest "Everyday Sport" campaign as well as an Ambassador for London's 2012 Olympic Bid. Amaechi's US appearances range from corporate speaking (Wall Street, Fortune 500 companies) to college engagements (Harvard University, Duke University, Columbia University) and non profit appearances (People of Color Conference, National Education Association). He is also a widely booked television personality appearing on such programs as CNN's Newsroom, Good Morning America, Real Time with Bill Maher and The Oprah Winfrey Show, an episode which received a GLAAD Media Award nomination for Best Talk Show. Amaechi resides in Los Angeles and London, which he affectionately calls "home."